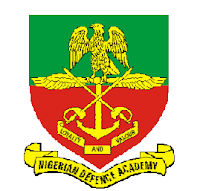 What is Nigeria Defence Academy? Is NDA a university, polytechnic or college of education? What benefit do I have if I go to NDA instead of other universities? Does NDA use JAMB UTME result for admission? Is NDA government school or private? How can I apply for NDA form? What are their admission requirements? Can I apply as female Nigerian to NDA? Do they conduct entrance exams and what form does it take? Can I obtain their form as a direct entry applicant? Do Nigerian Airforce and Navy also have a university like NDA? The post below will answer the entire questions and some others. But before answering your questions fully, let’s see the summary of how to gain admission to the University of Military called NDA. First, you must have required SSCE results, you must write JAMB and score national cut off mark (or declared by NDA), partake in their entrance exams and if selected, attend the interview. That’s the summary of the road to NDA Kaduna. You can see the comprehensive guide in the post, "NDA: How to Gain Admission to the Nigerian Defence Academy. Step By Step Guide". The full meaning of NDA is Nigerian Defence Academy. This is a joint school by the Nigerian Defence Ministry. That is, under NDA, we have Nigerian Army, Nigerian Navy and Nigerian Airforce. Hence, if you want admission to NDA, you’re allowed to select whether you want to be an officer of air-force, navy or army at the end of your course. 2. Is NDA a university, polytechnic or college of education? NDA is like every other conventional university running the same courses or more. They’re not polytechnic or college of education. When you’re done with your four- or five-year course at the school, you’re also awarded BSc, B.Tech etc depending on your course just like in any other university. 3. What benefit do I have if I go to NDA instead of other universities? You can choose to remain with the Nigerian Army, Airforce or Navy or choose to work elsewhere in the world. It seems as a direct engagement (job) with Nigerian Defence Ministry if you’re a graduate of NDA. 4. Is NDA government school or private? NDA is approved, owned and administered by the Government of the Federal Republic of Nigeria. 5. What are their admission requirements? Minimum of 5 credit passes at SSCE (NECO, WAEC or GCE 'O' Level) obtained in not more than 2 sittings relevant to the Faculty of their choices. Credit in English Language and Mathematics. Be at least 17 years old and not more than 21 years old as at the month of August in the year of entry into the Academy. Note that candidates who desire to join the Nigerian Air Force must be between 17 and 18 years old at entry. 6. Can I apply as a female Nigerian to NDA? However, as at the time of this post, NDA (for Nigerian Air Force category) has suspended the enlistment of female candidates in her Regular Combatant programme in NDA. 7. How can I apply for NDA form? Sales and filling of NDA form is online. 8. Does NDA use JAMB UTME result for admission? You’ve been brief about this at the top of this post. Every intending applicant must obtain the admission year UTME. He must equally have at least 180 or above in the exams. This may change any time though, I will eventually update this post if it does. 9. Do they conduct entrance exams and what mode does it take? NDA exams date is usually disclosed on their website some days after the closing date for the application. Exams slip will be printed and it's usually taken in the state of residence of each applicant. Applicants will be tested on English, Mathematics, General papers. This combination may change, hence applicants should prepare for all his or UTME subject combination and general papers. 10. Can I obtain NDA form as a direct entry applicant? NDA doesn’t have room for Direct Entry 200 level admission for now. 11. Do the Nigerian Airforce and Navy also have a university like NDA? As earlier mentioned, the Nigerian Army only spearheads this school. It contains same for all including Navy and Air-force. Hence, no separate NDA for Airforce and Navy. 12. Can I use awaiting results to obtain NDA form? The best advice you can get is No. NDA is usually faster in the processing of her admission for the years. They may not wait until your WAEC, NECO or NABTEB results are released. If however, you're sure your result will be released before the entrance exams date and/or interview, you can still use awaiting results. 13. How can I get NDA Past Question Pack? In response to requests from candidates for reference materials, the Academy has offered a Compendium of Past Questions & Answers at a token fee to interested candidates. This can be purchased from the Registry, NDA, Kaduna. Applicants can equally borrow past questions pack from current students in the school or from a friend or family who had previously partaken in the entrance exams. 14. How Much is the NDA tuition or school fee? All Regular Course cadets will be trained in NDA and the cost of their administration and logistics will be borne by the Federal Government of Nigeria. 15. Where is the NDA entrance exams centre? Generally, your examination centre will be available to you on your exams slip after printing. To be sure of the centre before the printing of the slip, it should be your state of residence state or the closest state (where two or more states are joined). A complete guide to gaining admission to NDA is well discussed in the post, "NDA: How to Gain Admission to Nigerian Defence Academy. Step By Step Guide". Take some minutes to read through.